Description Black and White portrait mounted on pink card. 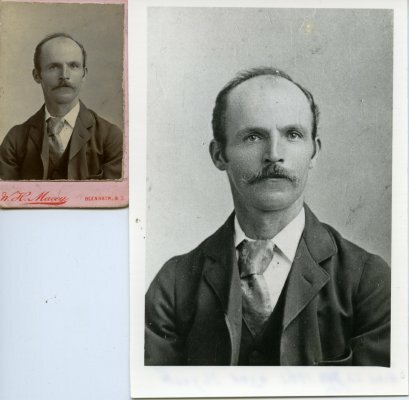 Eldest child of Thomas Shea (Junior), son of Thomas Shea and Mary Shea (nee Mahoney) of Wakefield Nelson. Died 22 July 1902, aged 36 years. 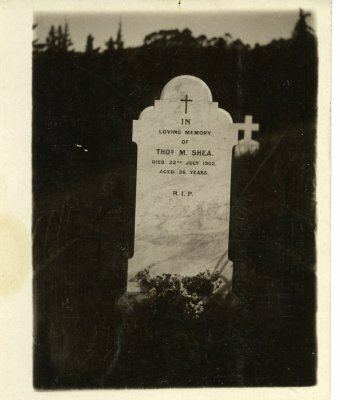 Also, black and white photograph of tombstone for Thomas Shea (Junior).